Cameroonian Afro-pop and RnB singer Steve’Slil presents his new video ‘Diana’ directed by Didiblaise and Filmed by Dr Nkeng Stephens. The video portrays how matrimonial love can be devoured by the fangs of jealousy and covetousness. Quite an intriguing African tale to savour. Steve’Slil has the killer instinct to enter into the hall of fame of reputable urban music acts in Africa. His musical prowess and versatility to effortless switch from one genre to another is breathtaking . 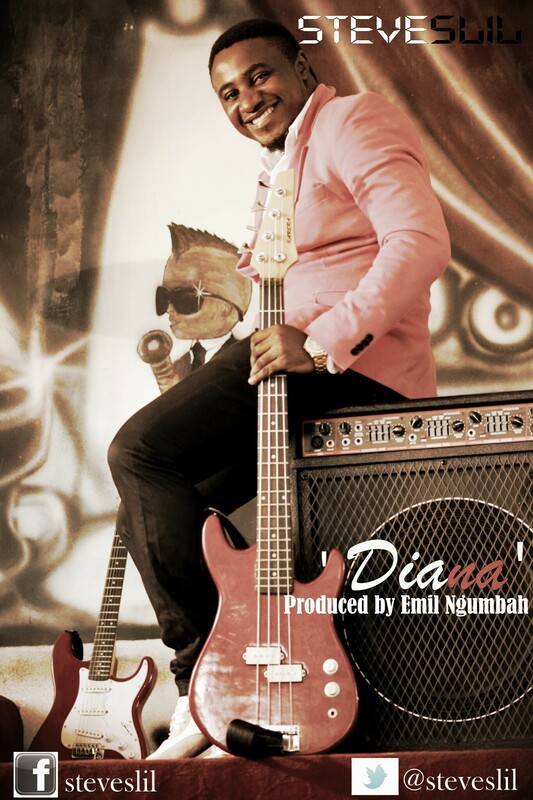 After releasing a phenomenal singles “Ebangha” and “I cut you cafe”, the Cameroonian sultry R&B/Afro-pop songster has gamely resurfaced with a life-enhancing love and marriage story incorporated in a soul-searching song titled “Diana” . He describes “Diana” as a musical marriage between post- independence highlife music and contemporary Afro-pop harmony. In essence, “Diana” embodies the traditional harmonic rhythm which could be dubbed “Palm wine music” , married with western instruments. “Diana” incarnates the folkloric tone popularly chanted during the post-independence era. The song is an expression of love and appreciation to God (Eta Mandem , thank you …) for giving a beautiful wife who deserves all the sacrifices a man can make give , just to make her happy; “na with you I go fly , America, Europe, Africa , to Asia coz you be my baby” . Steveslil’s vocal timbre and delivery perfectly gives the groove the song deserves. The song was produced by the legendary Emil Ngumbah.